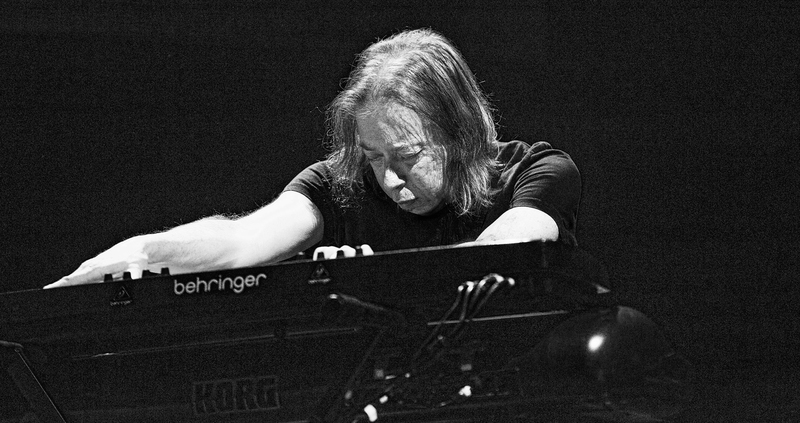 Adam started playing with Steven Wilson on his first solo tour in the fall of 2011, promoting Steven’s 2nd solo album, “Grace For Drowning.” Since joining the Steven Wilson live band, Adam has played keys on all of Steven Wilson’s solo albums and concert tours to date. These include the critically acclaimed ‘The Raven That Refused To Sing (and other stories)’ in 2013, ‘Hand Cannot Erase’ in 2015 and 2017’s chart topping ‘To The Bone’. Check out Adam’s moog solo on Steven’s track ‘Regret #9’ here! Adam is simply one of the most innovative musicians alive. He is a perennial poll-winner in the Fusion category for Pulse! magazine’s year-end Top Ten listings. 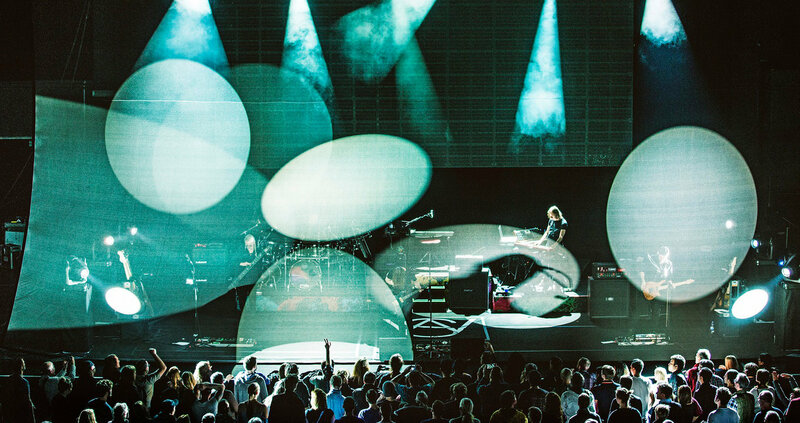 “Keyboard” magazine named him one of the top 10 players in the world, “Down Beat” lauded his “killer groove” and compared him to Jan Hammer – and even the “New York Times” and the “Washington Post” have praised Adam’s live shows. 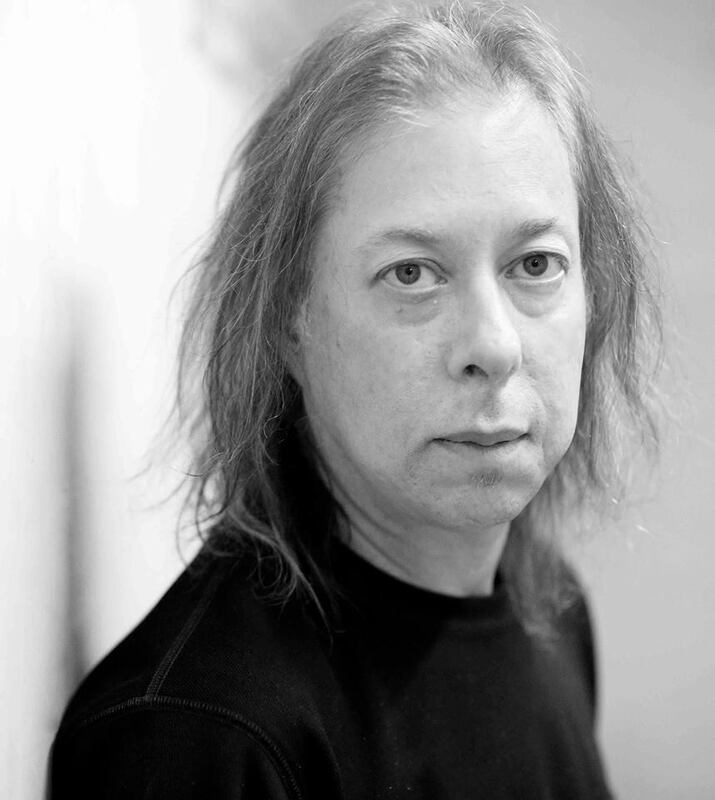 Born on February 15, 1958 in New York City, Adam is the son of Elektra Records founder, Jac Holzman. Adam grew up in California and started classical piano lessons at age 12, but his main influences were “The Doors”, Leon Russell and Dr. John. He started getting into progressive rock and jazz-rock during the late 70s, which in turn led to a growing interest in jazz. “First I was influenced by groups like “Emerson, Lake & Palmer” or “Yes”. When I heard Chick Corea, the Mahavishnu Orchestra and Billy Cobham I got completely turned on to jazz.” he says today. “But I only started getting serious about jazz harmonies when I was in my late 20s. One of his first big jobs was a new recording of the opera “Carmina Burana” by composer Carl Orff, led by Ray Manzarek of the “Doors” and produced by Philipp Glass. He then played with various groups including the group “Fents”, which Adam co-founded before coming to the attention of singer Randy Hall. 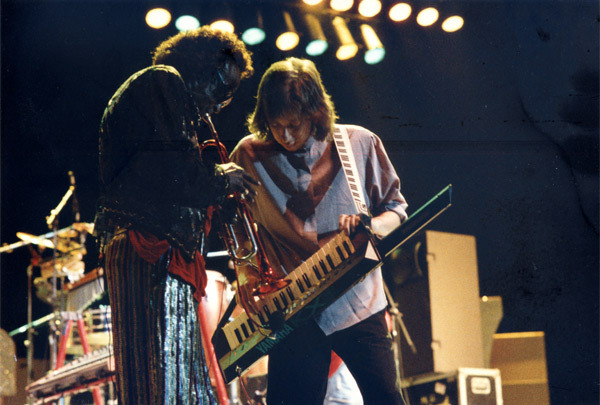 Miles Davis first hired Adam for some keyboard work for “Tutu” and then as second keyboarder for the live tour that followed. While Miles Davis hired and fired musicians at an enormous rate during these years, Adam Holzman actually stayed for almost 5 years. “I must have done something right”, Holzman says today.”I was so nervous in the beginning – I didn’t think I would survive the first tour.” He must have done a lot of things right, since Miles later promoted him to “musical director”, when Robert Irving left the band in 1988. After one more year Adam moved on – to work with Michel Petrucciani, who asked him in 1989 to join him for a cooperation to which he also contributed several compositions. 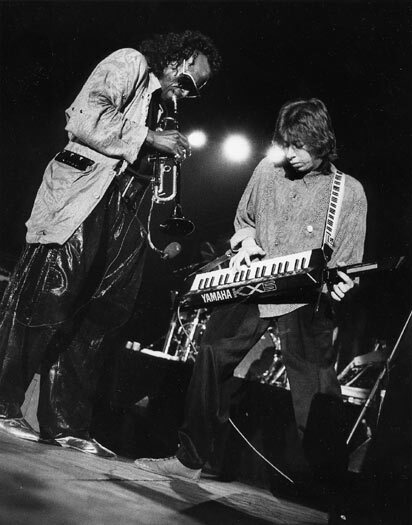 During the early 90s, Adam also worked for Chaka Khan, Robben Ford, the band “Kelvynator” and many others. At this time he was also preparing his solo career, which started with “In A Loud Way”, when it was released in the USA in the fall of 1993. Parallel to this he also founded a steady live band, which was originally called “Mona Lisa Overdrive” (inspired by William Gibson’s novel). Because of copyright reasons, the name was later changed to it’s current name “Brave New World”. 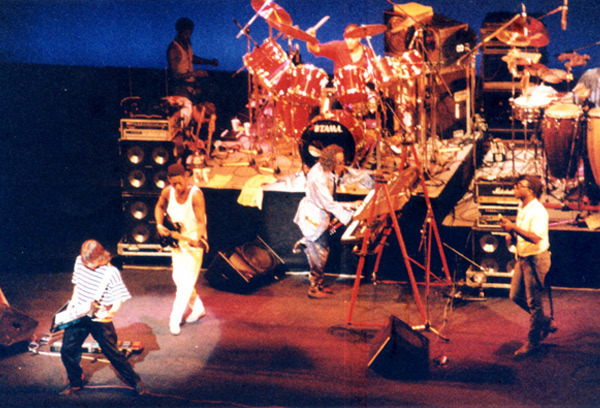 The first lineup of the band included bassman Steve Logan and drummer Van Romaine. During 1994 the band changed before a tour of Germany and Poland. It included Aaron Heick (Sax, ex-Chaka Khan Band), Freddy Cash (Bass, formerly with “Arrested Development” and Mark Ledford) , Juju House (drums, ex “Chaka Khan Band” and “Arrested Development”, drummer on the legendary recording “Slave To The Rhythm” of Grace Jones) and guitarist Mitch Stein, who performed for Tania Maria, David Sanborn and Chaka Khan (among others). In 1995 Adam appeared in the US with Brave New World and continued occasionally performing with Michel Petrucciani – but was also a member of Wayne Shorters group, which toured worldwide in fall of 1995. While Wayne Shorter got very mixed reviews on this tour, many reviewers lauded Adam as one of the outstanding musicians in the backing band. From 1997-2000, Adam recorded and toured with the late, great sax player, Grover Washington. Over the past several years of the new millenium, he has continued working with his own band, Brave New World, releasing Jazz Rocket Science in 2005 and 4 live cd recordings as part of the “Alive” series. Adam has also been producing new Miles Davis projects for Sony and continues to play side gigs with Droid and the Jane Getter band. As a hobby, Adam also draws cartoons and you can check out his cool and highly successful “create a custom comic” service at bigfuncomics.com. He is married to guitarist Jane Getter and they have a son, Russell, who was born in 1994.